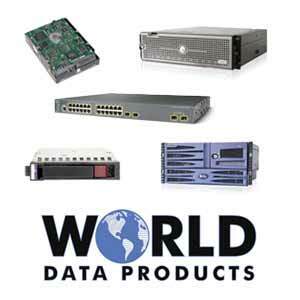 World Data Products has a comprehensive selection of new and refurbished branded and compatible optics for Cisco, Dell, HP, IBM, Juniper, and other networking brands. Our transceiver and cable inventory includes SFP, SFP+, GBIC, X2, XENPAK and XFP modules in a range of single mode, multi-mode, and an array of enterprise-class networking adapters and modules. Refurbished and OEM-compatible optical transceivers are an excellent value and can save your IT department thousands of dollars. World Data Products has an ISO 9001:2015 Quality Management System, we inspect all optics to verify that they are genuine. All refurbished SFPs and GBICs must pass a loopback test. Not sure which model you need? Use our Networking Optics Quote Form, Chat below, or give one of our Networking Experts a call at 888-210-7636. Our inventory of refurbished Cisco cables is always fluctuating. Call for current availability of Cisco SFP+ Twinax copper cables and other network cables including Cat6.